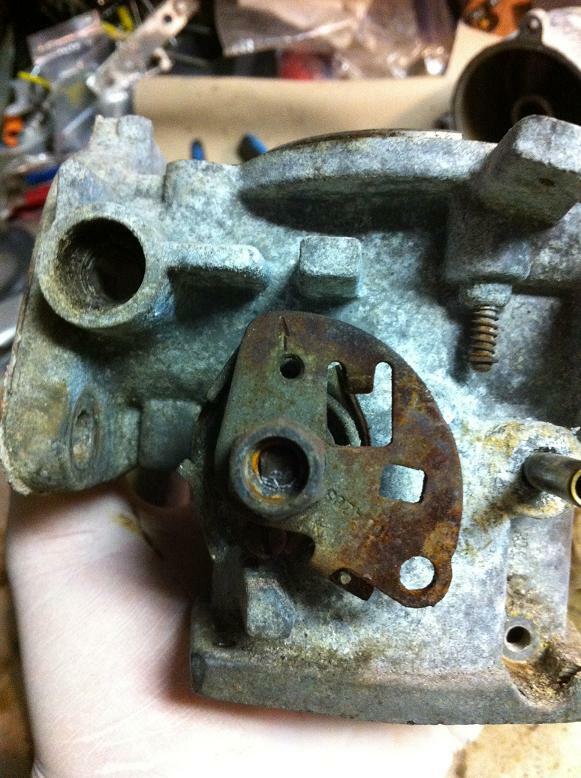 The carburettor issues I have been experiencing have been frustrating. The car would stumble upon heavy acceleration, although standing still the car would rev freely. Also when the body of the car was rocked back and forth, either standing still or when moving over something like a speed bump, the car would misfire and try to stall. 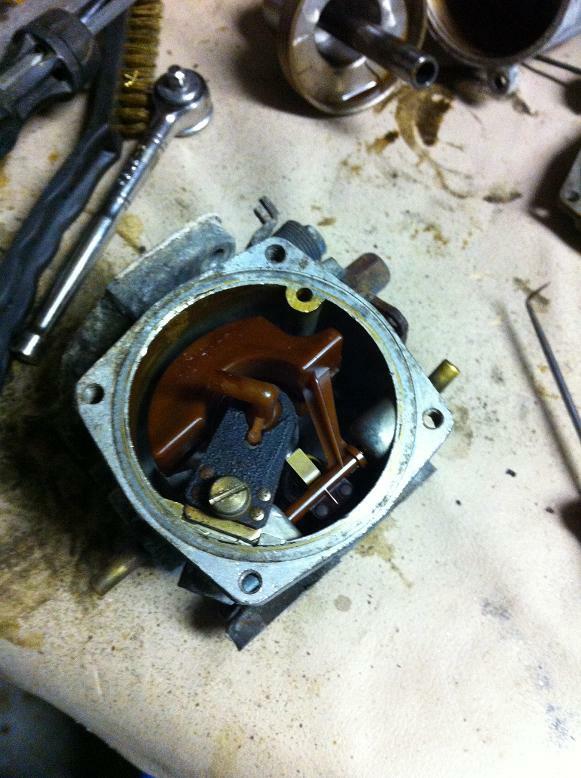 Attempting to remedy the situation, I checked the float levels, fiddled with different weight oils in the dampers, adjusted the fuel/air mixture with the Gunson Colortune as well as experimented with different timing settings, changed the sparkplugs, checked the dwell and checked all of the wiring. Nothing remedied the problem. 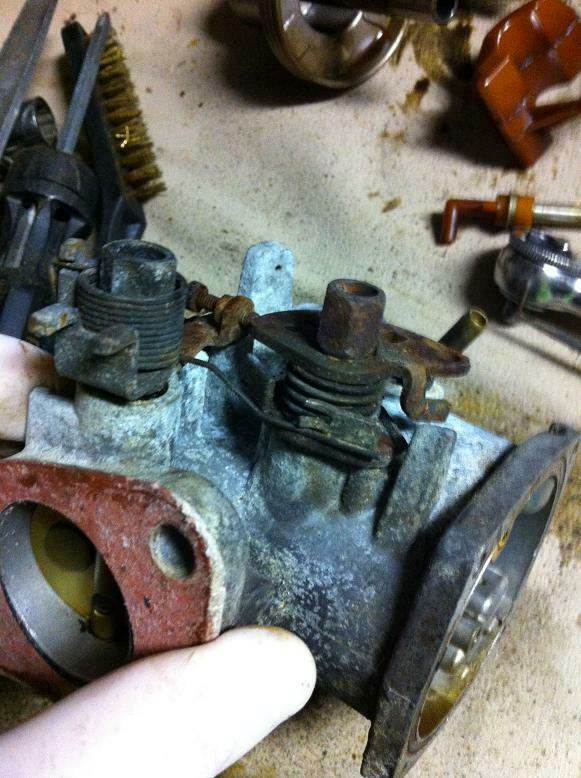 So, I set about rebuilding the carburettors I bought in the junkyard, ordered the kits to rebuild, ordered grose jets, and a sychronizing tool all in an effort to fix this problem. 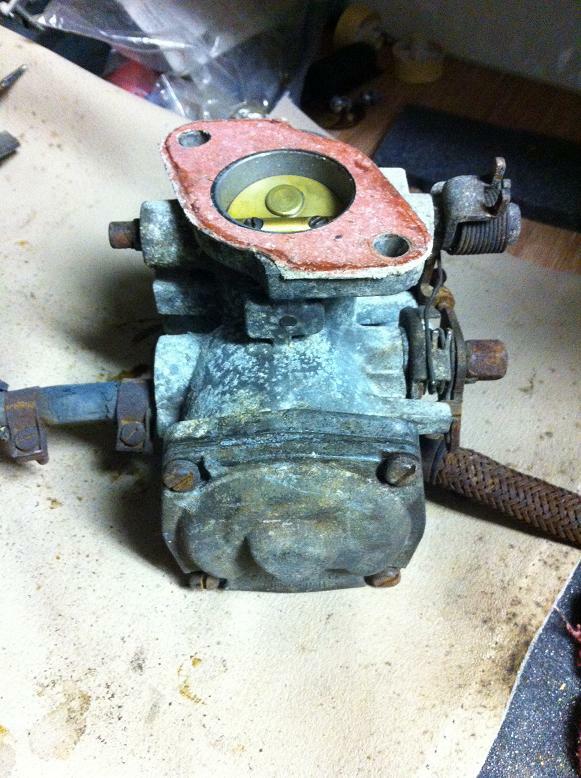 I also bought walnut shells to put in the sandblaster to blast these carbs and get them back to looking like new. 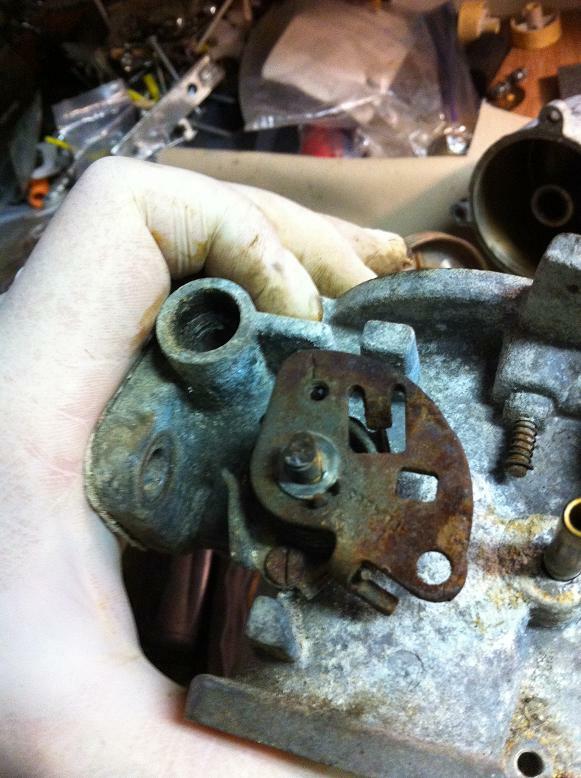 Last night, while I was researching the choke mechanism, I read about a guy who had rough running caused by a blocked fuel bowl vent tube. I had blocked my vent tube completely, thinking it was only used for overflowing bowls, and not necessarily to prevent a vacuum in the bowl. Guess what. It does both. I took the plug out of the hose, and took it for a ride. 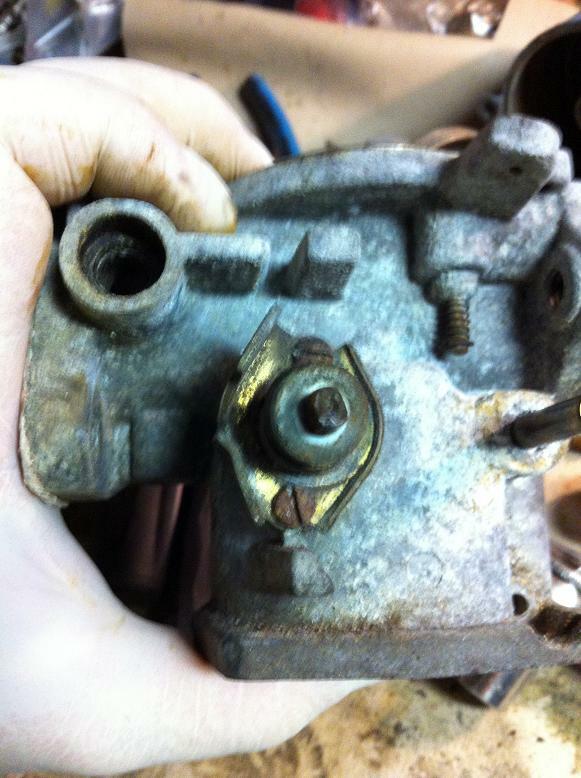 The car ran PERFECT. 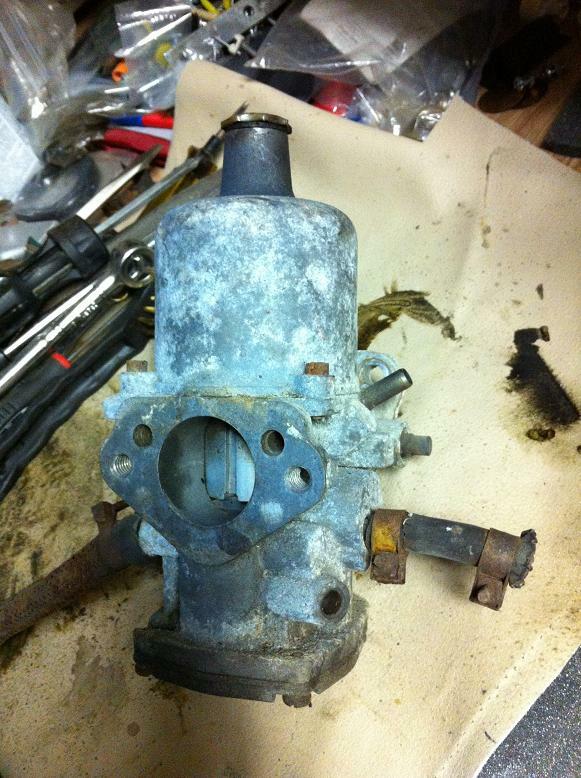 So, I'm still going to rebuild the new carbs since I'm past the point of no return, and the new kits are genuine SU. 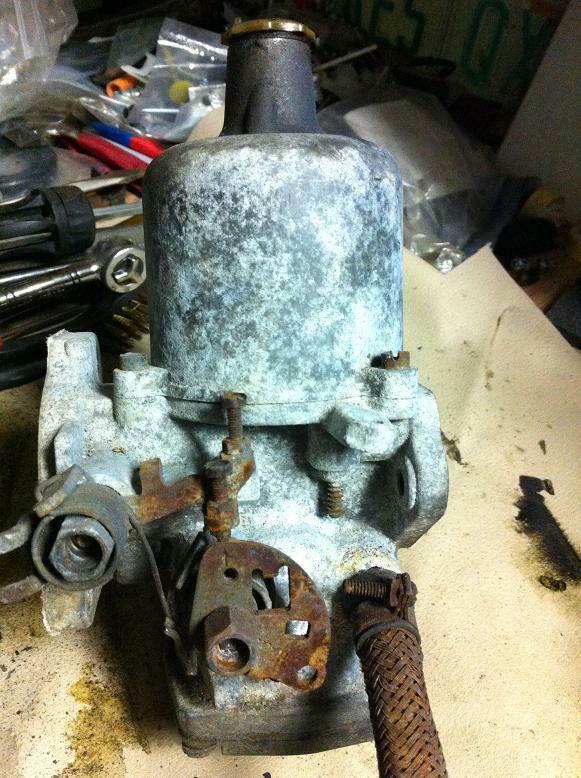 The other carb kits were after market. Now I know more about the carbs and I'm sure these will come better. 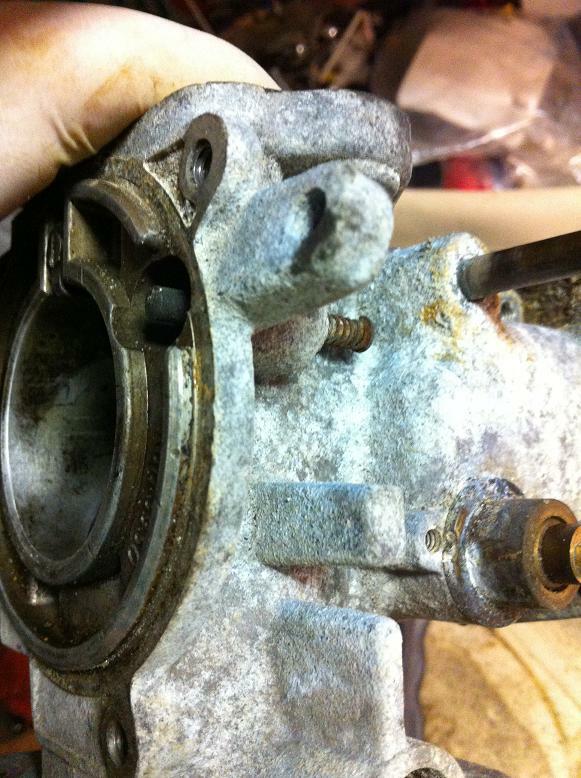 Also the blasting should make them look brand new. 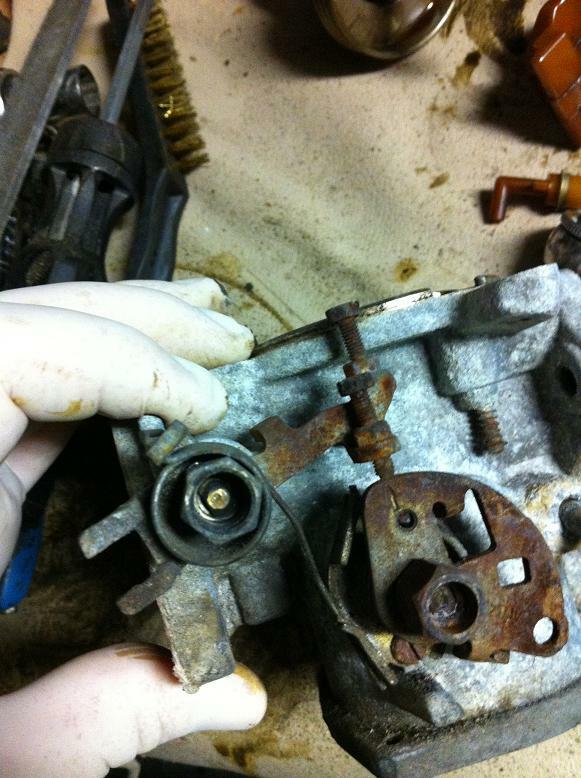 These are pictures of disassembling the junkyard carbs. They look rough on the outside, but look great on the inside, especially after a 24 hour soak in hydroseal. More pics later.